A single injection of an experimental drug may someday protect people from infection with the AIDS virus for up to three months, a U.S. study said Tuesday. The study, published in the U.S. journal Science, showed that the drug called GSK 744LA can protect macaque monkeys from repeated intrarectal infections with the deadly SHIV, a hybrid between the human and monkey AIDS virus. The efficacy and safety of the drug have not been tested in humans, but David Ho, whose team at the Aaron Diamond AIDS Research Center in New York led the study, told Xinhua the drug may be maintained at adequate level for about three of four months in humans. "Therefore, we believe the drug should be given once every quarter," said Ho, noting that their results "give a big momentum boost to this HIV prevention effort." In the new study, the researchers gave two injections of the drug to eight macaques and then "challenged" the animals by putting SHIV into their rectums once a week. They found none of the animals became infected after eight challenges. In a second experiment, SHIV readily infected eight untreated control monkeys. This novel approach was based on the proven strategy of protecting people who do not have HIV but are at high risk for infection with antiretroviral pills known as oral pre-exposure prophylaxis (PrEP). "It has been shown already that taking anti-HIV medications once a day ... could protect high-risk individuals from catching HIV. However, in such an approach, most persons cannot follow the prescribed regimen with good compliance/adherence," said Ho. "With long-acting drug like 744LA, we take away this adherence problem, with the expectation that protection results would be better," he said. Robert Grant, a virologist at the University of California, San Francisco (UCSF), who was not involved in the study, believed that the new study "would be a game changer." "This is the most exciting thing happening that I know of in HIV prevention studies today," Grant, a pioneer of oral PrEP studies in humans, told the Science journal. Philip Johnson of the Children's Hospital of Philadelphia in Pennsylvania, however, questioned the compliance. "This is going to require multiple injections over the lifetime of an individual, " Johnson told Science. "How feasible is it truly in the long term? " 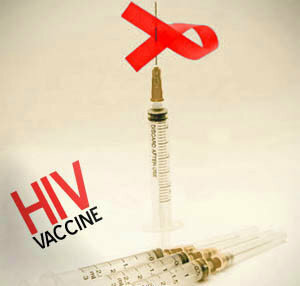 Ho said while HIV vaccines that protect are "still far far away, " their approach could be used in the interim period before a protective vaccine is developed. He said their next step is to proceed, together with drugmaker GlaxoSmithKline, to conduct human trials. "We will soon begin a phase-2 human trial of 744LA in the U.S.. It is anticipated that we will obtain more data, including more safety information, on this long-acting drug within the next year, " he said. "We are now in discussion with the company on how to ultimately proceed with clinical trials to test the protective efficacy of 744LA in high risk populations throughout the world, including in gay men in China where HIV infection rates are very high."